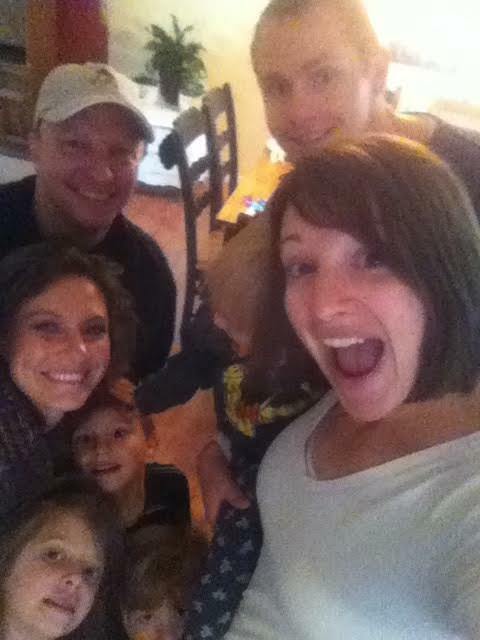 Almost a year ago (our time in Idaho has flown by!) I went on a hike to Cherry Springs with my friend, Heather, here in Pocatello. I didn't know her well at the time, but we knew we had homeschooling, natural health and other homesteading interests in common. We were spending the afternoon outdoors getting to know each other better while our kids played in the creek. 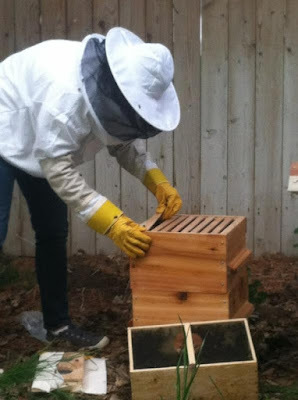 When she told me about her keeping bees in her backyard, it didn't take long before I blurted out excitedly, "Have you heard about the Flow Hive?! What do you think of it?" What a discussion ensued! 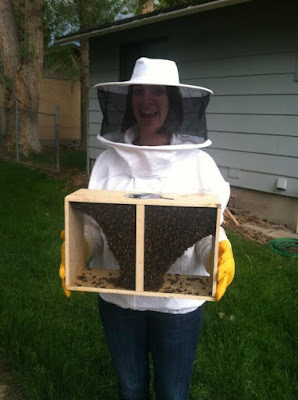 I had had inklings of interest in bee-keeping before, but I didn't think I would be able to manage that for many years down the road or without a very large piece of property. 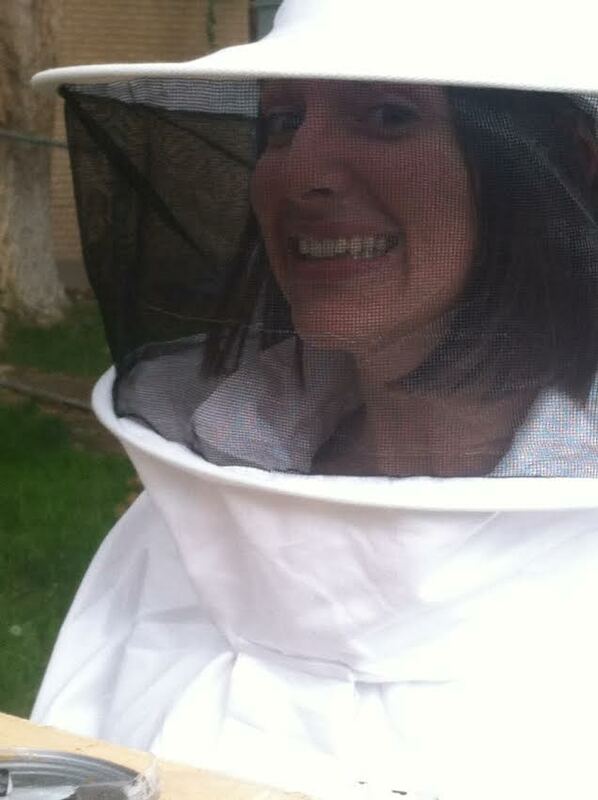 Talking with Heather helped me realize beekeeping was more within my reach than I had ever imagined. Warré hiver's tout their philosophy as more apicentric (bee-friendly), sustainable, low-maintenance, and holistic than the Langstroth approach. The idea is to give the bees as natural a space to build, brood and store, as possible. For example, in the wild, bees build top-downward. And so, in the Warré method, boxes are added underneath (Nadiring) instead of on top (Supering) as the colony grows. Warré thought a round hive would be superior to a square hive, too, but that building one that way would make it too expensive. His idea was as much about being bee-friendly as it was to be accessible to laypeople, hence the nickname, "The People's Hive." 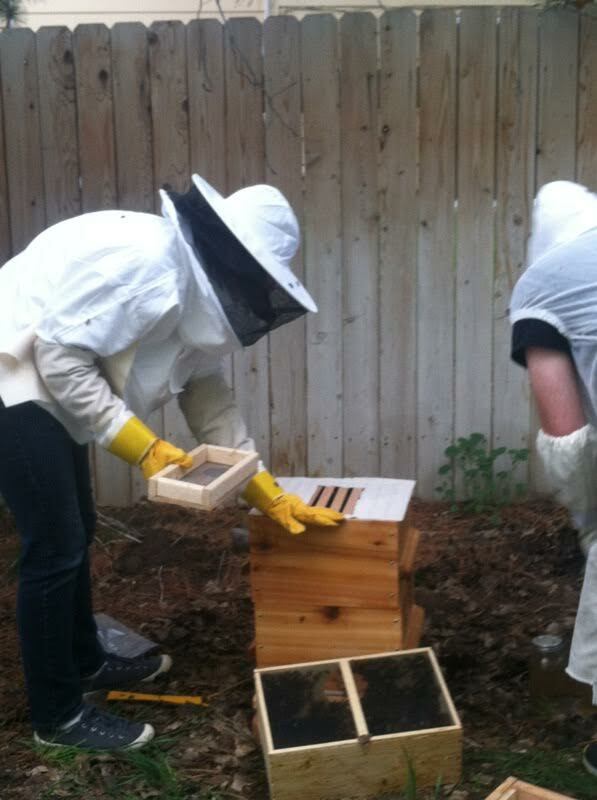 Opening the hive is a rare occurrence in Warré-keeping. A plus for the bees, too, who like the temperature and light of the hive to be constant, and to easily keep close tabs on the pheromones the queen is transmitting constantly. 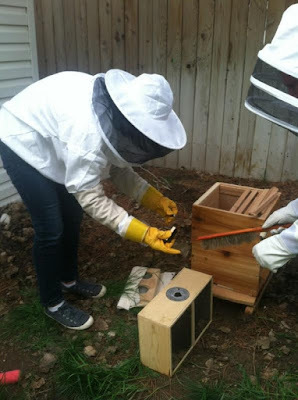 A Warré keeper might open the hive a handful of times a year, whereas a Langstroth keeper is encouraged to check on their hives as often as every two weeks. This makes Warré keeping a more attractive approach for those looking to beek in more urban settings. With so little opening of the hive/opportunities for agitating the bees, keeping them is much more reasonable in a neighborhood setting. (By the way: Mason bees are another option for people with very small yards, just looking to boost pollination with very low sting risk!) 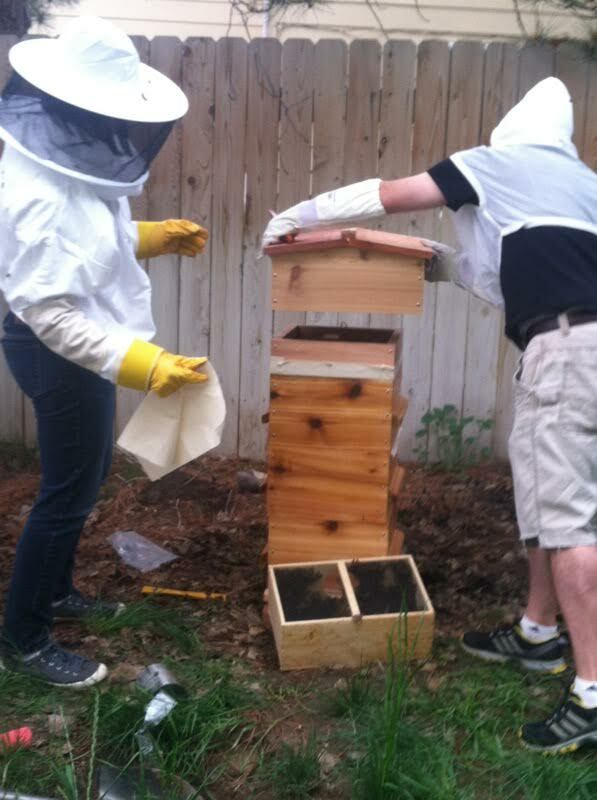 Alternatively, signs of colony health are more regularly observed from outside the hive. While honey production is often a surplus benefit of beeking this way, it is not the driving aim as it is in Langstroth hiving. (Though this cost-benefit analysis of the two different hives may be of interest to the reader!) It is common practice amongst Langstrothers to harvest all the honey from a hive, and Winter the bees over with sugar water, for example. In Warré keeping though, the beekeeper always leaves enough honey for the bees to feed themselves through the Winter, and only harvests the excess. 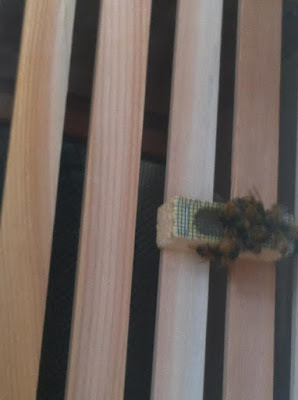 The bees build their own comb each year - a point against honey production as well to be sure - but a point for helping to protect the bees against mites by having freshly-built comb each year (instead of plastic frames many years and many more (mite-infested?) generations old) in which to lay their brood. This is also a point toward beeswax harvest each year for the Warré. 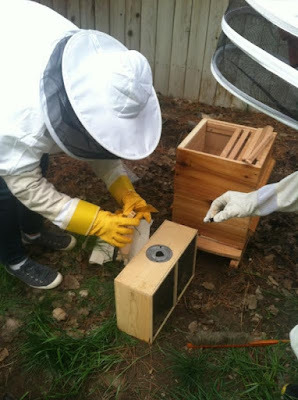 The Langstroth approach uses plastic frames or foundation with cells that are smaller than the natural comb cell size, in order to discourage the queen from laying drone (male) brood as they claim this helps prevent mites as drone cells are bigger and easier for mites to access. Drone do not contribute honey or do any work for the hive, so they are seen as undesirable in a Langstroth hive. Warré hivers on the other hand enjoy observing the natural lifespan of a colony, and the benefits to their bees that come from improved genetics as they work out all the details of colony production as they see fit. We figure bees have been doing this bee thing so long, they really do know what's best. Many in the bee-keeping community believe mites are the root cause of colony collapse disorder. From my research, I believe Neonicotinoid pesticides, other chemical treatments, and highly unnatural beekeeping practices have weakened bees to the point that they are more susceptible to mite damage. But, who really knows?! There's always room for humility if we want to learn anything about anything. Anyone who is taking enough interest to keep bees and learn more about how to care for them is doing a good turn for bees and our food supply in my book! Obviously, I have found the approach that works and feels right to me. Many Langstrothers feel just as passionately about their philosophy as I do mine and would argue against points that I have shared, here. I share this not to debate so much as to educate the populace within my circle that there are other ways of beekeeping! Who-da-thunk?! 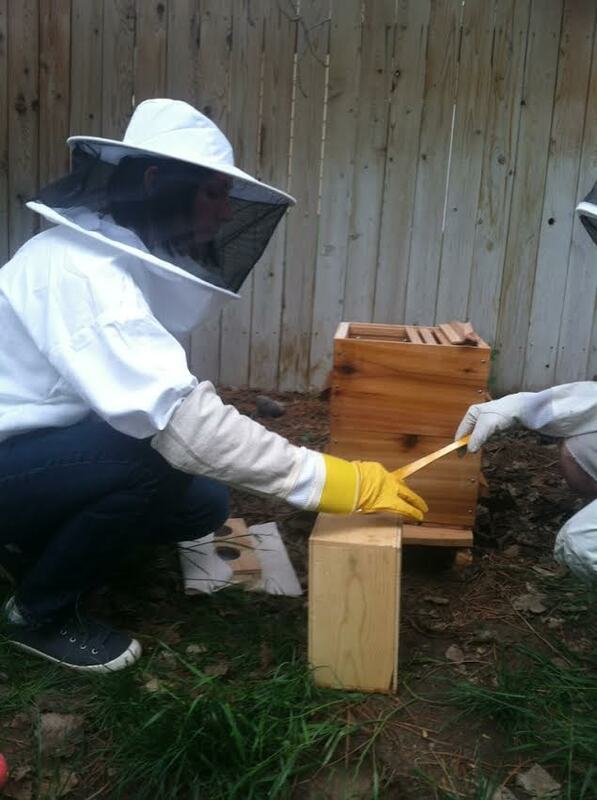 Some nowadays, keep their bees in hybrid or modified Langstroth hives by providing bars without plastic pre-fabricated frames for their bees to build in, etc. Michael Bush wrote the book, The Practical Beekeeper: Beekeeping Naturally. 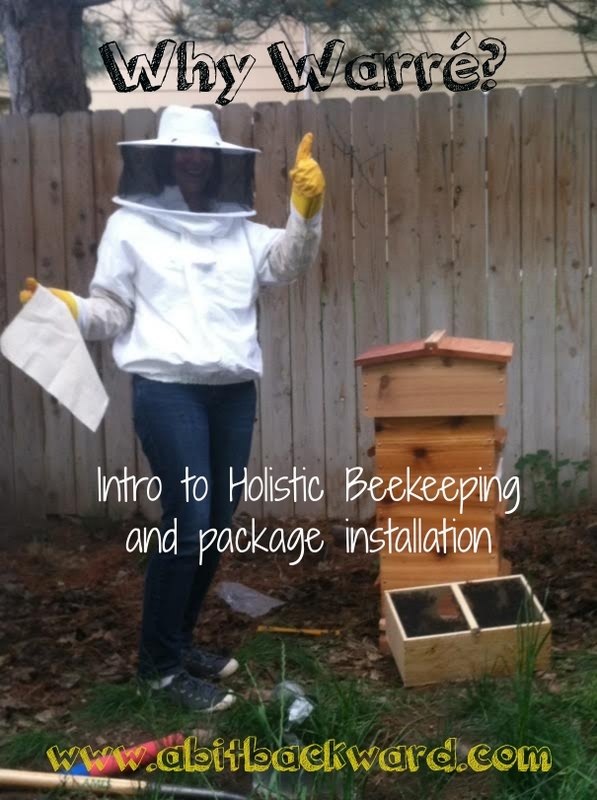 He has an excellent website with a wealth of knowledge for any and all beekeepers to check out! FYI: His book that I linked to above, is just a printed version of all the info you can access for free on his site. Natural Beekeeping with the Warré Hive, A Manual, By: David Heaf - This is another slim book, but it invaluable for the newbie and even those with experience. Heaf has essentially put together all the information available on all the different ways people have used the Warré method and explained the ins and outs, whys, and how-to's. It is a great resource. I recommend it to everyone wanting to Warré keep. At the Hive Entrance, By: H. Storch - This book notes observations which can be made outside the hive with corresponding happenings inside the hive. Thin, but certainly invaluable. 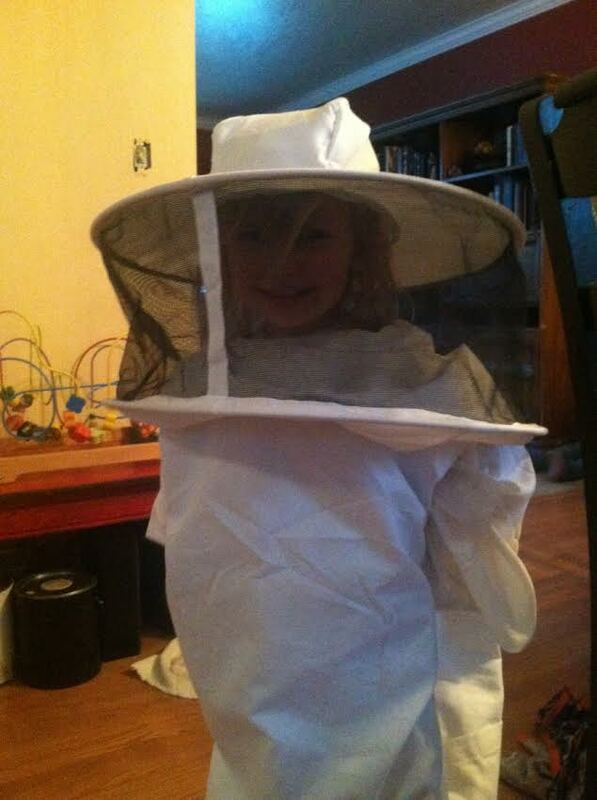 Especially for any beekeeper looking to take a more hands-off approach. The Bee-friendly Beekeeper, A Sustainable Approach By: David Heaf - This book goes into the ethics of beekeeping and explains why Warré. Bees & Honey, from Flower to Jar, By: Michael Weiler - This book is a delightful read, and an excellent overview of bees and beekeeping in general with illustrative language and helpful tips. The pictures are all in black and white, but still helpful. The Buzz about Bees, Biology of a Superorganism, By: Jürgen Tautz - This book is a fabulous scientific textbook style read on bees. The information is unemotional, fact-based, and absolutely fascinating. Very good info for any beekeeper on the spectrum just wanting to learn more about the life-cycle and habits of bees. The photographs by Helga R. Heilmann are in full color and are beautiful to look at as well. Honeybee Democracy, By: Thomas D. Seeley - This book looks at all the research about how honeybees choose their new home. It is actually quite the democratic process! Seeley goes into lessons we as humans might learn about working together by observing and understanding how bees make their choices. I have found it enlightening to learn more about what makes a more ideal space for bees, as well. I'm not sure I would use this a constant reference, but reading it has been helpful and worthwhile once through. Beekeeping for All, By: Abbé Émile Warré - The original book by Warré that started it all! Though Heaf's digestion of Warré is probably more user-friendly than only using the original, especially in this worldwide community we have now, with so much variety in climates and such, it is still nice to hear all the elaboration on the whys directly from the source. It is listed online for free at this link, if you don't mind reading on a screen! Reading this will give you the scope and sense of Warré's love for and great understanding of bees. The two main varieties of bees in America are Carniolans, and Italians. Though many of those are really probably mutts between each other! In a nutshell, both are pretty gentle, docile bees. Carnies are more gentle and less likely to sting, but their softer nature makes them not quite as active on honey production. This is a rule across bees breed - more aggressive, more honey, less aggressive, less honey. Carnies eat very little over Winter, as well. Italians are more active than Carnies, and produce comb faster and also produce more honey. They also eat more over Winter. Depending on your type of hive, your climate, and the location of your hive, you'll want to take all those things into consideration.You can read more about different bee breeds, here. If you plan to buy an artificial package of bees (if you Warré keep, you'll need a package - NOT a "Nuc!") you should plan ahead and place your order around January. 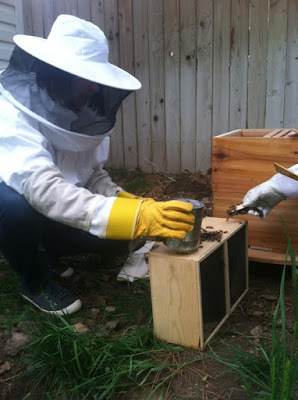 The later in Spring it gets, the less-likely it is for you to get a package, or to get your hive going early enough to really be successful. You can order from places like CAL ranch, but I recommend buying from local sources recommended by the bee-keeping group(s) in your area. There is all sorts of information about baiting and capturing natural swarms which are arguably genetically superior. Check out videos on on youtube if you are interested! The Manual by Heaf I shared above has some helpful tips on capturing natural swarms as well. 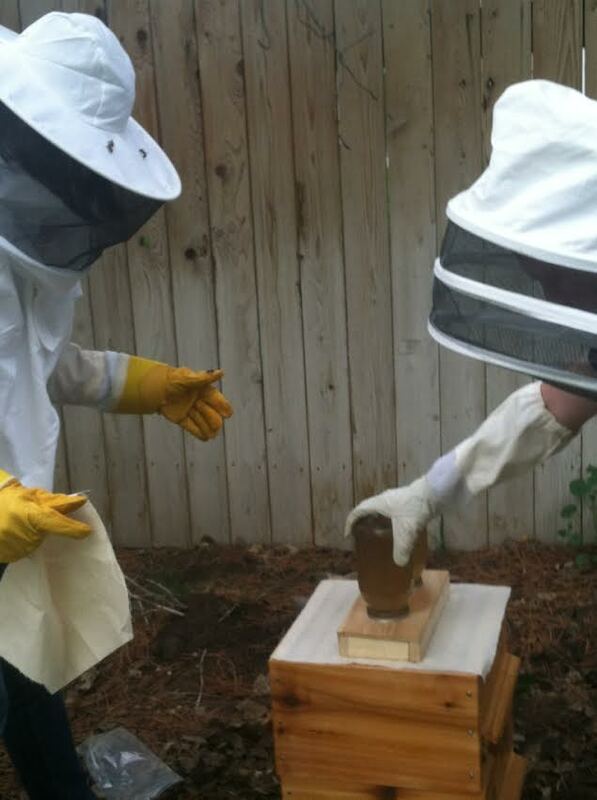 The earlier in Spring you can have your bees installed, the sooner they can get to work. There is an old 17th century saying: "A swarm in May is worth a load of hay; a swarm in June is worth a silver spoon; but a swarm in July is not worth a fly." This means that as Spring progresses into Summer, the time for bees to be able to collect pollen from flowers also dwindles. Keep this in mind. Today we picked up our bees from Blackfoot from 2Jay Honey Farms and we installed them in our hive. I thought I would just take a moment to walk you through what the process looks like. 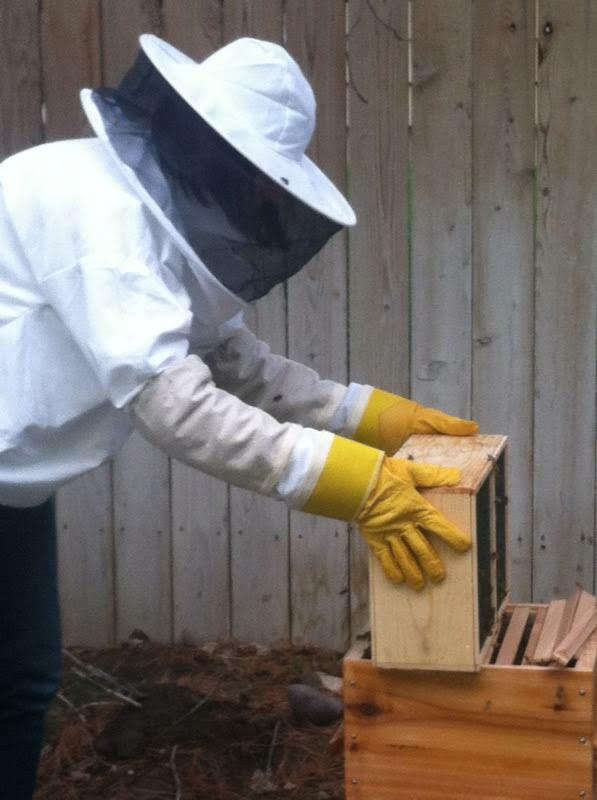 Here I am being a dork, holding the bees who are trying to stay warm. Little do they know what is coming next . . . Rob, my friend, Heather's husband, came out with Heather to help on super short notice! And in a black short-sleeved shirt and shorts to boot. He's brave. We sincerely appreciated his help! And Heather's! She took all the photos of the bee installation. 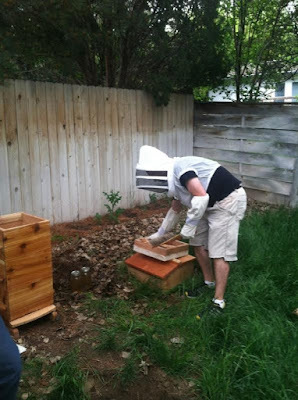 Here he is getting things ready for the bee dump. Working to lift the sugar syrup can out so we can extract the queen cage from the package box. Rob has the queen in that box in his hand. I am trying to figure out how to put the syrup can in without squishing too many bees. 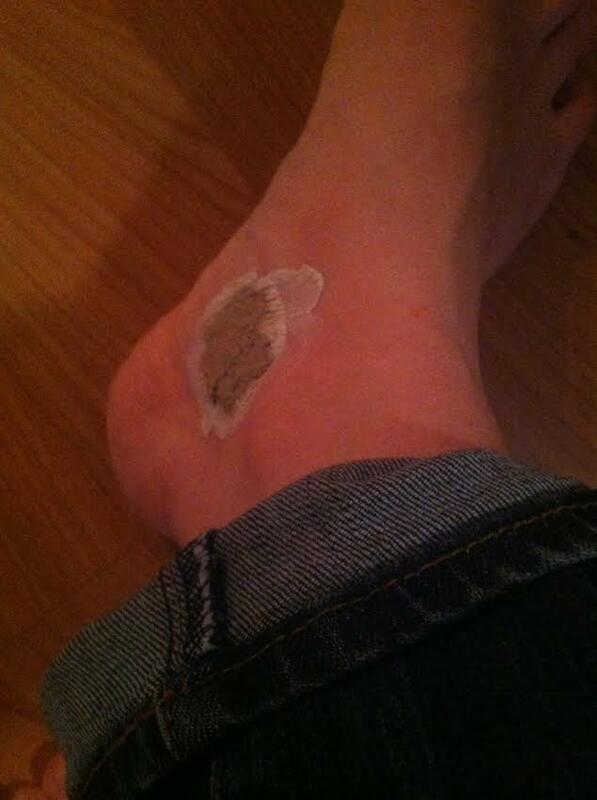 I think this is about the point I got stung, on my right ankle. I unwisely wore ankle socks. Lesson learned for next time! Also notice, we are not using a smoker. This can be a helpful tool in some beekeeping practice, but we chose to forgo it so as not to intercept the queen's pheromone signals to her new colony at such a crucial beginning time. I'm holding the tool over the cage, Rob is holding the fondant in the tube so I can insert that into her cage. Working together to insert the candy into the queen cage. 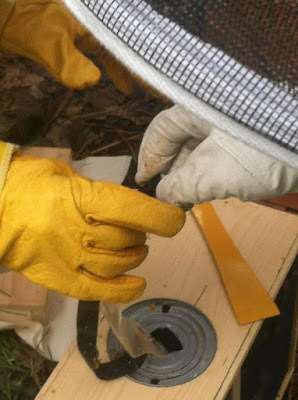 I poked a hole with a thin nail through the fondant beforehand to encourage the bees to eat through it a bit quicker. The queen is laid on the bars, with some attendants hanging on right next to her! 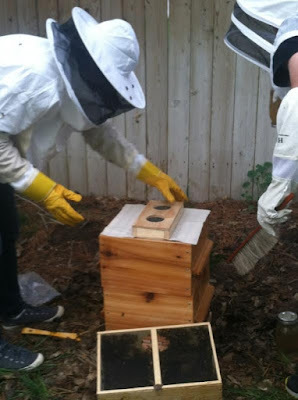 We have removed the can, and I did a nice thump of the box on the ground to get the bees to drop out of their formation. Now I am thumping the box on the hive to get the bees to drop into the hive. 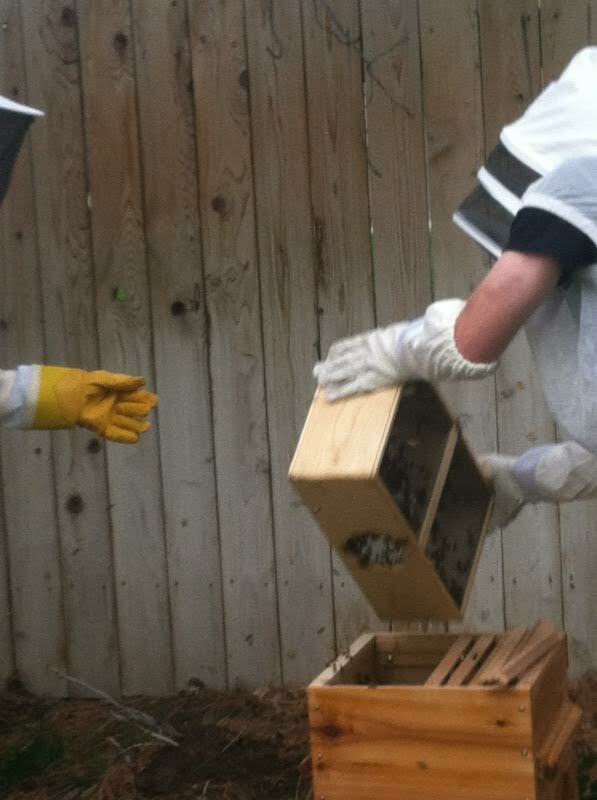 Trying to be firm enough to get them to move, and not so firm that I squish bees. More tapping side to side to get the rest to move out of the package box. That'll do. Now I am installing the top bars. Notice the package of bees is now located at the Southern-facing entrance (that is the direction bees like their hives to face - and in a warm place, too!) The bees will hopefully, if they have any sense, join the rest of their colony inside the hive! It was and is supposed to continue to be rainy and cold tomorrow and sporadically next week. So I hope they figure it out sooner rather than later for their own sake. We have laid down the cotton muslin fabric piece I cut to fit our feeder. The feeder is now laid down . . . 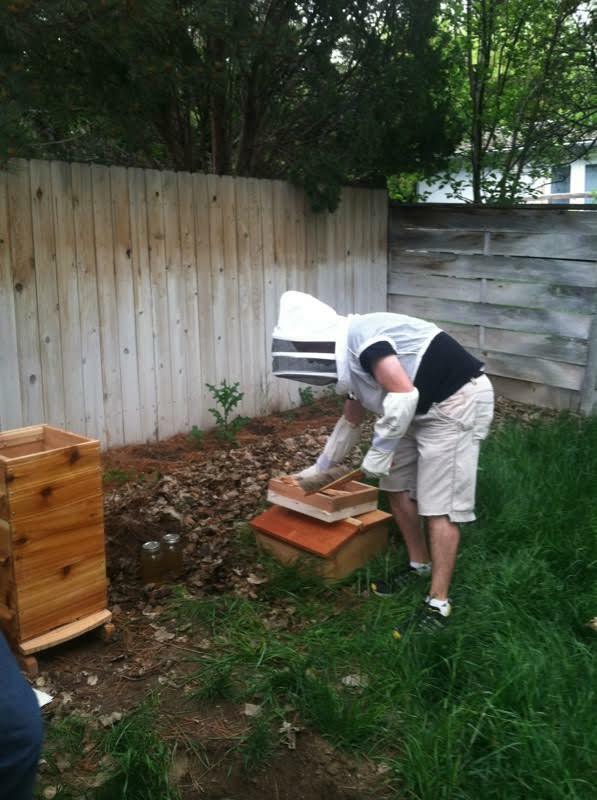 Rob has the brush ready to gently sweep bees away as we reassemble the hive. Don't want to squish anybody! Not pictured is Squire viewing this from the other side of Rob, passing tools and boxes as we need them - and the kids watching from within their playhouse on the other side of me. 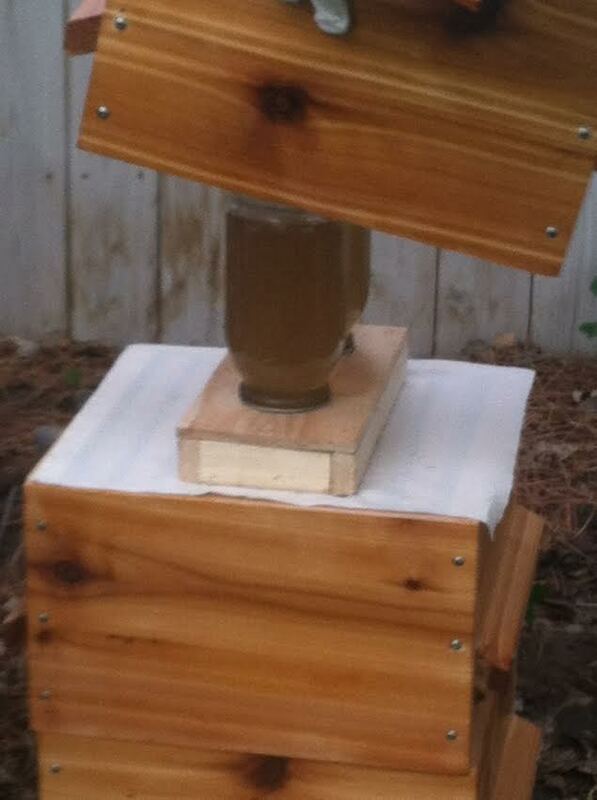 Now the home-stirred organic sugar water jars are placed on the feeder. And the box is put over the feeders. Next the quilt box, and finally the roof! 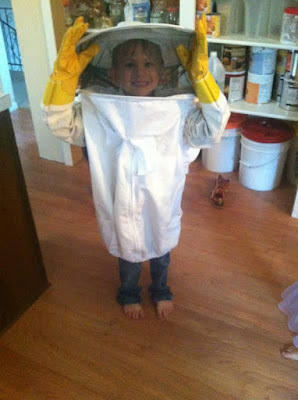 The budding Apiarist wanted to give my suit a try. This one, too. 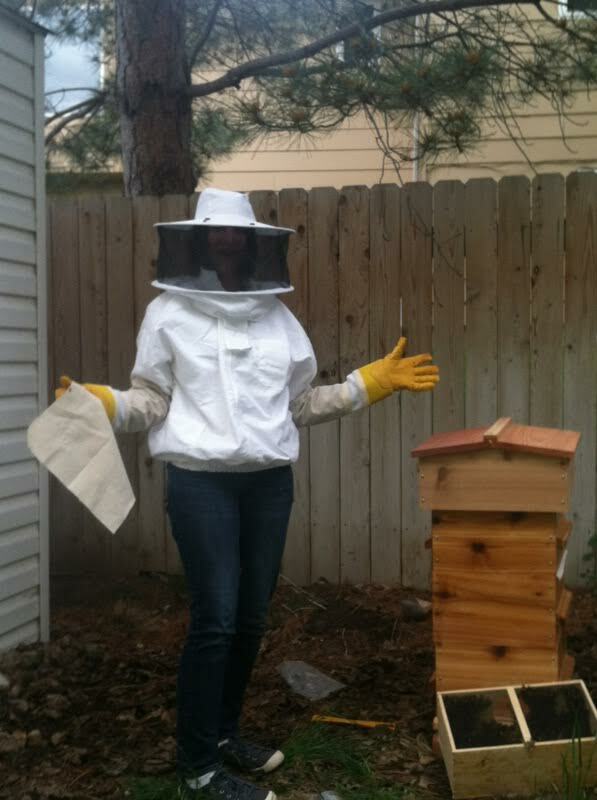 Backwards beekeeping jackets are all the rage these days, didn't you know?! Ragamuffin baby saying "Cheese!" 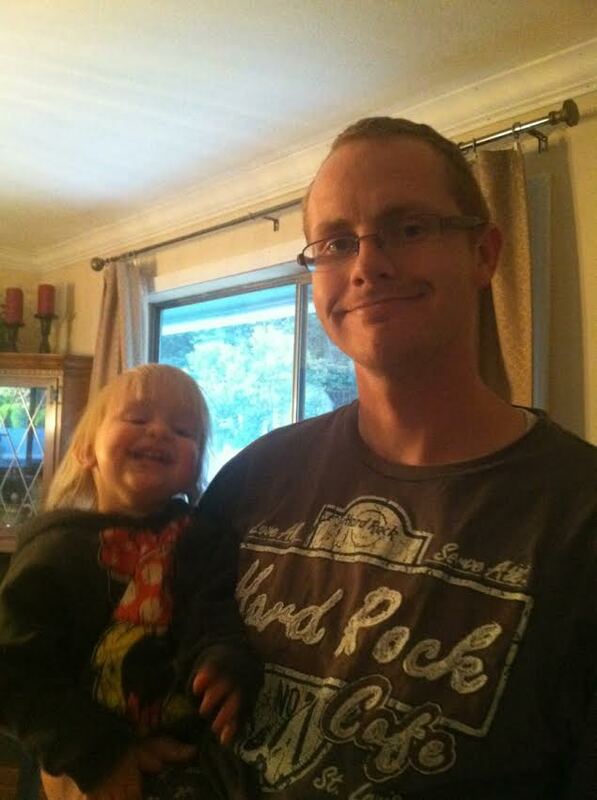 for the picture like the little goofball she is, with daddy. A photo of my bee sting, covered with a 1:1 mix of Bentonite Clay and Baking soda, with a little water stirred in to make a paste. So far, so good. Our friends who inspired us to beek in the first place, and whose help we desperately needed and appreciated today. I am excited for this new chapter of learning in our suburban homestead! (Can I say we have a homestead now that we have both bees and chickens?! Did I even mention that we got chickens on this blog, yet?! We did! :) ) Fun times. Fun day. I loved reading this! 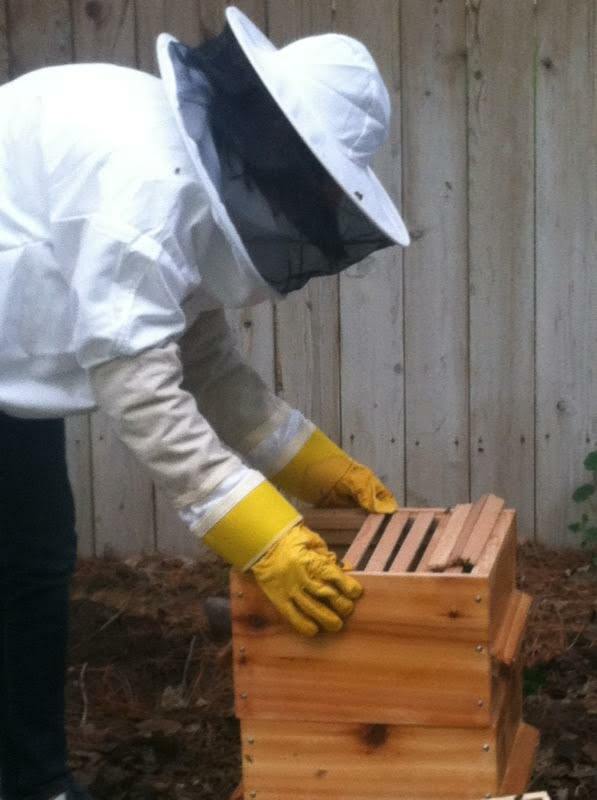 My husband has wanted bees, but I've always had a phobia of them after getting stung a bunch as a little kid. I didn't realize there were some that sting less! Please write about your chickens! I'm hoping to get some next summer and read all I can about them! Thanks for reading and for commenting, Allison! 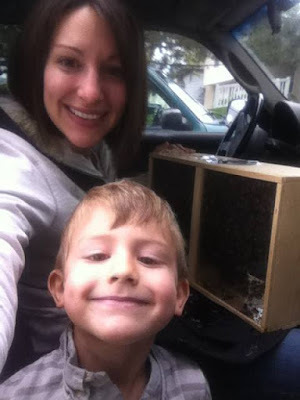 Mason bees are the way to go if you have a lot of fear of stinging but want pollination benefits. I just got a post in about my chickens. More to come! I love it! Good luck beekers! :) Happy to see you enjoying your bees!